How did you do it! If I had a dollar for every time someone has asked me about the planning and organization of this trip, I’d be able to take the trip again. The most difficult part of putting together this type of trip, one that includes tour guides, porters, cooks, transportation, airlines, hotels and more is just making the decision to go. Once you’ve done that half the battle is over. The next big decision is who is going to help me? It was important for me to find someone here in the U.S. that I could call on for advice. One that I felt comfortable and confident in is there to be any trouble. Through some research and recommendations from others who have taken this trip, we settled on a tour company by the name of Tambo Tours. 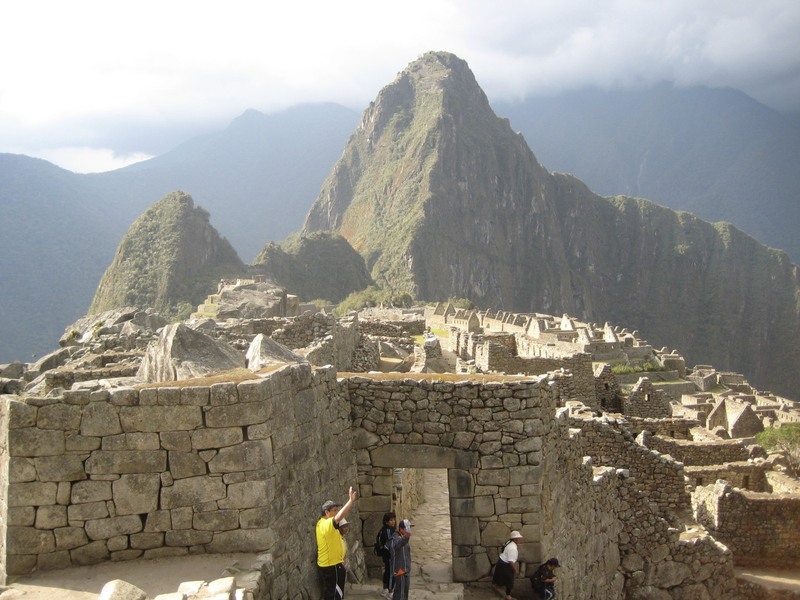 Try a Google Search with “Machu Picchu Tour Companies” and you’ll get about 500,000 hits. This is where many people struggle because of the information overload. Don’t let it scare you, there are only a handful of reputable, U.S. based experts when it comes to a trip like this. 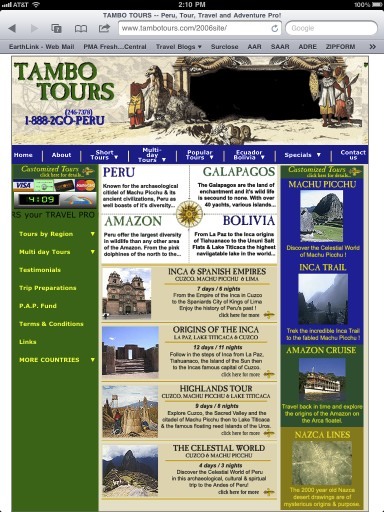 Tambo Tours is one of those companies. They have fully staffed offices in Houston and Cusco, Peru. 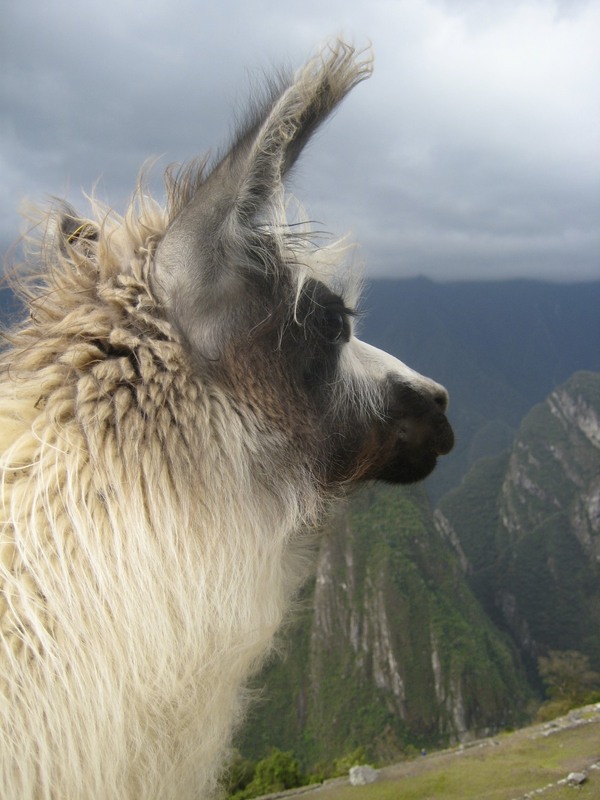 They are experts when it comes to travel in Peru, Bolivia and Ecuador. They have been traveling to Machu Picchu and the surrounding areas of Peru since 1988, and opened it up to the General Public in 1994. As you know there were 8 of us and we really wanted to have an experience together and not with other groups. Tambo Tours was able to put together a plan for our group that allowed us to stay together and do it as a team. We worked with Chris Bumann, Director of Operations, US directly. He was an outstanding resource and very professional. It is important to note, that I am not a budget traveler, however if you are, they can put together an outstanding experience for very little money, or 5 star, like we had. Tambo Tours is able to cater directly to your economic and travel needs. My experience with them is that they can answer any questions you have from Immunizations to tipping to packing to money needs. Tambo Tours did not put together our whole trip. We did our own scheduling for an arrival a day or two early and stayed a few days after the tour portion of the trip. But the bulk of the trip was handled by Tambo. This includes Hotels, Transfers, Domestic Air Transport in Peru (Lima to Cusco and back), a majority of Food & Drink, Entrance to most Sites, Guides, Rafting, Porters, Cooks, Inca Trail Permits, Rail Peru tickets, Farewell Group Dinner and more. What they did not cover was the entrance to Machu Picchu a few taxes, and tips, but that was basically it. Day 2 ~ Early morning Flight from Lima to Cusco. Accommodations at the Casa Andina (Beautiful Place). Private City tour to include Sacsayhauman, Inca Palace of Q’orcancha, Royal Inca Baths, Tambo Machay, Pecupucara & Kenko. Day 3 ~ Cusco-River Rafting-Ollantaytambo. Accommodations at The Casa Andina, Sacred Valley. Day 7 ~ Inca Trail – Machu Picchu-The Sanctuary Lodge. Included a complete tour of the Ruins and their historical importance. One night at the famous Sanctuary Lodge. Day 8 ~ Machu Picchu-Aquas Caliente-Cusco. Rail Peru to Cusco. Day 9 ~ Cusco to Lima. This portion of our trip was the bulk of our trip and cost us $2000 per person, I realize that for many people that is a lot of money, but what we received for it, was an excellent value. In fact the one night at The Sanctuary Lodge was valued at $700 alone. What was great was the ability to customize this to meet our needs. I know that it is possible to do this trip for $1000 or less per person, it is up to you. The costs for the whole trip including international Airfares, additional Food and Beverage and Hotels, was about $3200 per person, or $215 per day, we were on this adventure for 15 days. What would I do different? I would have stayed in Cusco longer after the tour, maybe a day or two more to have time to experience this beautiful city. Search for a Tour Company that you are comfortable with and one that you have confidence that can put together your trip of a lifetime. For us it was Tambo Tours. 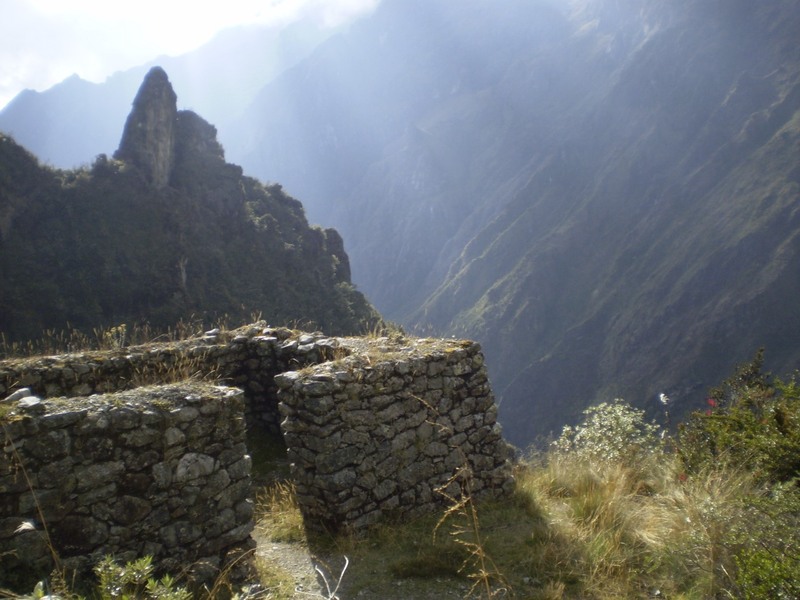 Plan early, there are only 500 permits a day available to hike the Inca Trail. Those are typically split 300 service provider & 200 Tourists. We planned our trip about 10 months in advance. 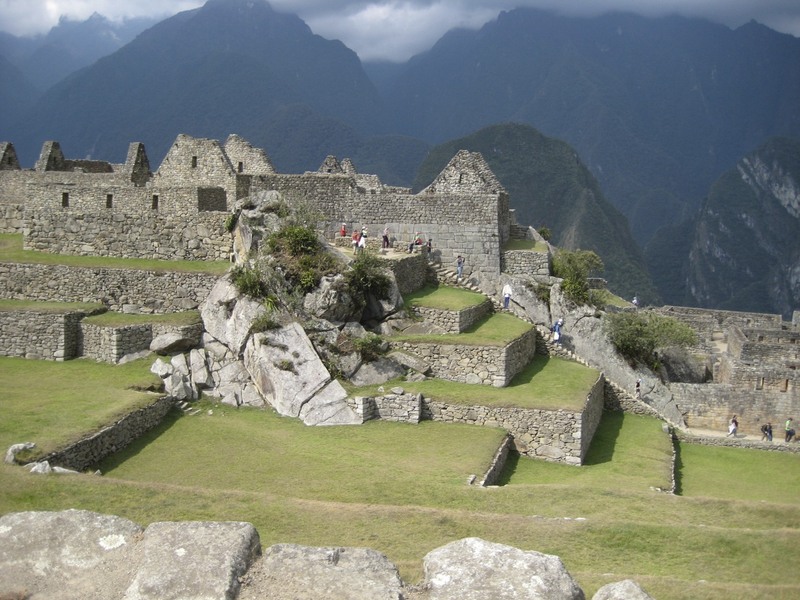 Think about how you will pack for the time your on the Inca Trail. The Porters (Sherpa’s have weight limits on how much they are allowed to carry). The Tour company you choose should be able to help you. Also, make sure you know if you have to provide your own Sleeping bag, or if they do. If you have time, stay a few extra days in Cusco after the Hike. This may be the only time you visit this region, fit everything in you can, Rafting, Lake Titicaca, Salt Mines etc. You may not be back. Plan out your money, there are no ATM’s on the trail, you will want to tip the crew and maybe even buy a beer or some Chicha (Corn Beer). Keep in mind the best times to go. April/May and Sept/Oct. are the least crowded. However October Starts the Rainy season which runs through March. You may not want to hike in the rain. June/August is the peak season, more people, more money. If it’s possible do it as a group of 8-10. This will get you your own campsite and more importantly let you build an awesome memory with friends. You also may be able to negotiate a better package deal. Double check with the CDC (here) on any immunizations required for the region you are going to. Do these early, some require a series of shots. Pack extra Camera batteries, you don’t want to run out of juice 2 days into a 4 day hike. I don’t recommend services and products, unless I have actually used them. Tambo Tours is one service, I highly recommend, it gets my Seal of Approval. Their exceptional professionalism, customer service and understanding of the experience were instrumental in making sure we had the adventure we were expecting.